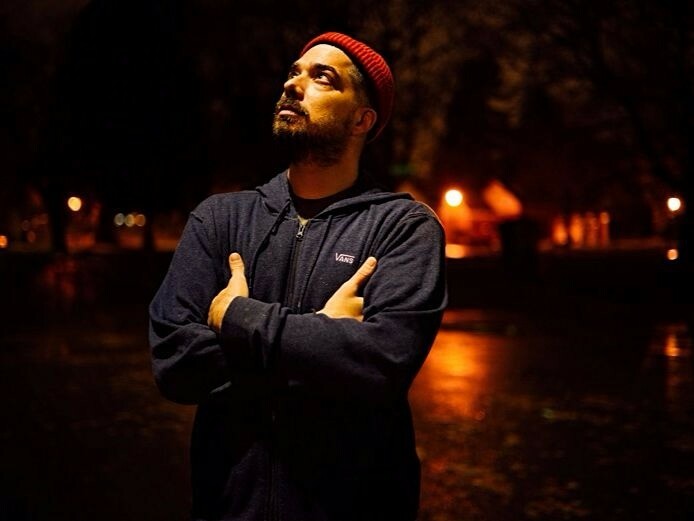 The often elusive Aesop Rock has surfaced with a new video for “Hot Dogs,” which serves as the Portland, Oregon-based MC’s first vocal single since 2016’s The Impossible Kid. The song is being billed as a fundraiser for the charity organization Grind For Life. Directed by Kurt Hayashi, the track’s visual features the skateboarding of Jake Gascoyne. “‘Hot Dogs’ is a audio/video project celebrating the tangents of a delirious brain over the course of a late-night skate to the store,” Rock said in a press release. It’s a welcome surprise to even have new music from the Rhymesayers artist. Over the summer, he canceled tours in both New Zealand and Australia due to “unforeseen circumstances,” something he explained in August with a heartfelt Instagram post. “The reasons for the cancellation are layered, and personal, and not stuff I care to share with anyone outside my immediate circle – hence the term “unforeseen circumstances,” he wrote. “It’s certainly not a decision I took lightly, but one that was very important to make. Love y’all, and sorry for the times I’ve let you down. I’m doing the best I can. The digital version of “Hot Dogs” is available now. Additionally, pre-orders for a limited edition 7″ vinyl version featuring both the song and the instrumental are available via Fifth Element’s website. All proceeds from “Hot Dogs'” digital sales and vinyl pre-orders now through November 23 will be donated to Grind For Life, a charity established by skateboarder Mike Rogers following his second battle with sarcoma cancer. The organization’s mission is to provide financial support to patients and families when traveling long distances to doctors and hospitals. The 7″ vinyl is expected to arrive on November 24.